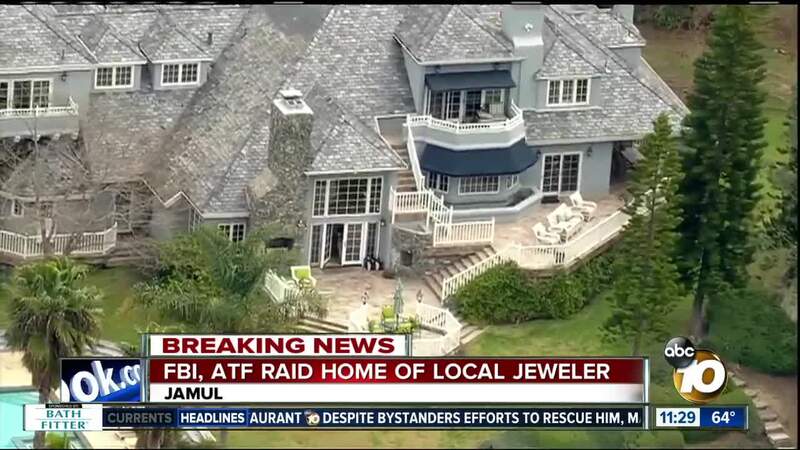 Agents raided Hamel's Jamul home and San Diego-area businesses as part of a firearms trafficking probe. 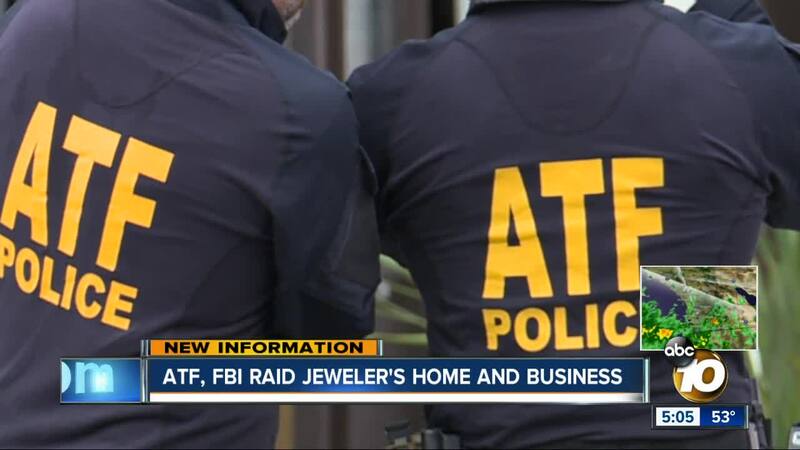 SAN DIEGO (KGTV) - The FBI and ATF carried out a raid Wednesday at the East County home of well-known San Diego County jeweler Leo Hamel. The federal agencies executed search warrants at a mansion located in the Rancho Jamul Estates gated community sometime before 10 a.m.
KGUN9 learned that agents were searching the prominent jeweler’s home and San Diego-area businesses, including the main business in Mission Hills, for evidence related to a firearms trafficking investigation. Hamel, known to appear in TV commercials with his family to promote Leo Hamel Fine Jewelers & Jewelry Buyers , has been in business in San Diego since 1979.